In 1970, John Lennon introduced to the world Alejandro Jodorowsky and the movie, El Topo,that he wrote, starred in, and directed. The movie and its author instantly became a counterculture icon. The New York Timessaid the film "demands to be seen," and Newsweekcalled it "An Extraordinary Movie!" 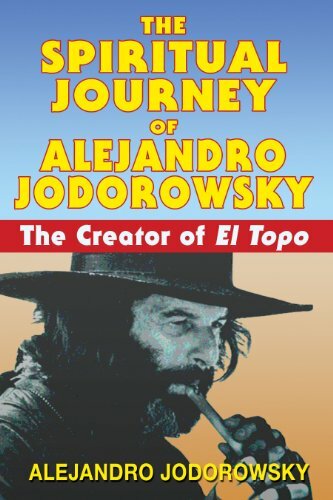 But that was only the beginning of the story and the controversy of El Topo, and the journey of its brilliant creator. His spiritual quest began with the Japanese master Ejo Takata, the man who introduced him to the practice of meditation, Zen Buddhism, and the wisdom of the koans. Yet in this autobiographical account of his spiritual journey, Jodorowsky reveals that it was a small group of wisewomen, far removed from the world of Buddhism, who initiated him and taught him how to put the wisdom he had learned from his master into practice. At the direction of Takata, Jodorowsky became a student of the surrealist painter Leonora Carrington, thus beginning a journey in which vital spiritual lessons were transmitted to him by various women who were masters of their particular crafts. These women included Dona Magdalena, who taught him "initiatic" or spiritual massage; the powerful Mexican actress known as La Tigresa (the "tigress"); and Reyna D'Assia, daughter of the famed spiritual teacher G. I. Gurdjieff. Other important wisewomen on Jodorowsky's spiritual path include Maria Sabina, the priestess of the sacred mushrooms; the healer Pachita; and the Chilean singer Violeta Parra. The teachings of these women enabled him to discard the emotional armor that was hindering his advancement on the path of spiritual awareness and enlightenment.